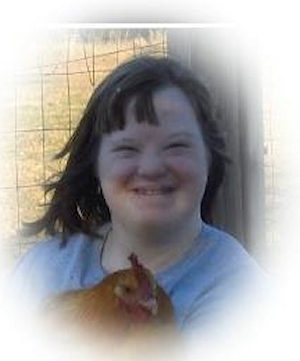 Obituary – Heppler, Laura Jeanne « Perry High School Alumni Association, Inc.
Laura Jeanne Heppler, 28, of Perry, Oklahoma, was the daughter of Johnny Edward and LeeAnn Jeanne (Wofkill) Heppler. She was born on March 19, 1984 in Stillwater, Oklahoma and died Sunday, August 19, 2012 at Henryetta, Oklahoma. Some of Laura’s favorite pastimes were watching Barney, playing with her dolls, going to Sonic, watching Laurel and Hardy as well as Little Rascals. 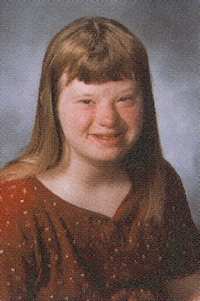 She enjoyed singing and dancing and her favorite holiday was Christmas. Laura will always be known for the wonderful hugs, kisses she would unselfishly give and how she would laugh when she would tickle someone. Funeral services will be 2:00 p.m., Thursday, August 23, 2012 at Kaw Street Chapel in Perry, Oklahoma. Pastor Greg Stone will officiate. Laura is survived by her parents, John and LeeAnn Heppler from the home; big brother, Brian Heppler of Missouri; Aunt and Uncle, Mary and Rodney Cermak of Perry, Oklahoma; several cousins.